For the third installation designed by employees of the firm, a playhouse inspired by the international travels of a family visiting 19th century Japan. The construction studies order and spatial relationships inspired by Japanese tradition. 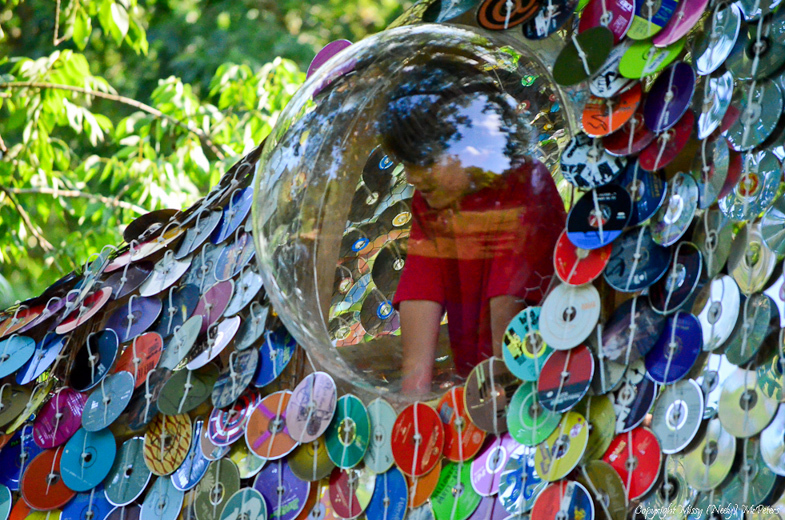 For the first project at Cheekwood, our team constructed a treehouse—under a very tight deadline—in the form of a huge fish based on the children’s book The Rainbow Fish, covered with several thousand CDs as its outer scales. The firm was one of only two invited back for an encore treehouse two years later at Cheekwood; it would be known as The Hive. For the second installation, employees of the firm designed an interactive and inhabitable beehive to accompany an exhibit of larger-than-life insect sculptures at a Cheekwood.